we sure love breakfast foods at our house, and the weekends are just perfect for all sorts of fun breakfasts. 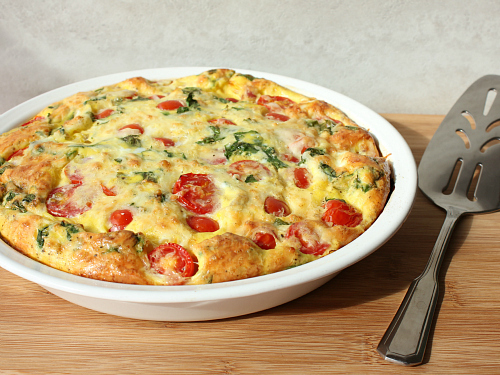 when it comes to eggs, we love to make omelets, quiches, stratas, and casseroles, but somehow we always forget to make frittatas. poor frittatas. i'm not sure how they fell into the forgotten food category at our house, but i sure am glad we discovered them again! i love frittatas. 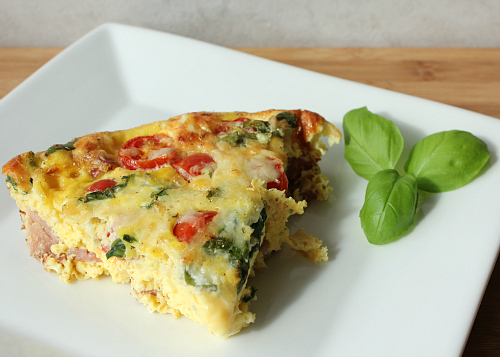 they are basically like quiches without crust. 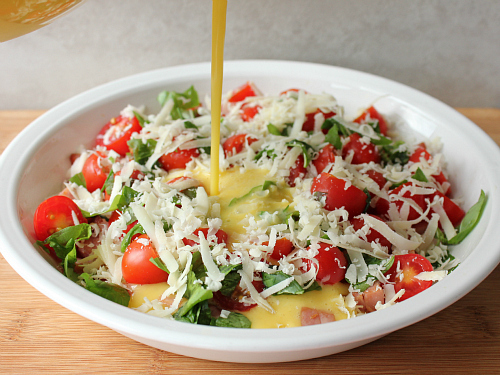 recently, i came across a recipe for a frittata with ham, cherry tomatoes, parmesan cheese, and basil. it sounded italian to me, and since i can't resist anything italian i just had to try it. 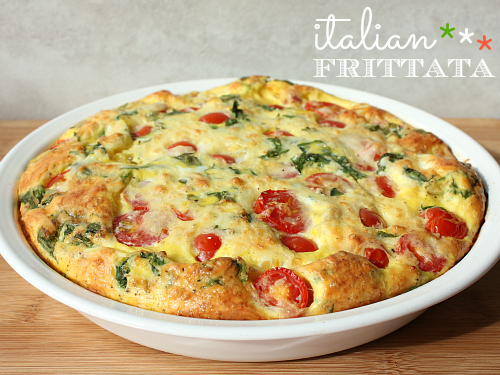 i whipped up this frittata in no time. i love recipes where you can just basically dump everything together. super easy, super simple. just what a weekend morning calls for when it comes to breakfast. this frittata smelled absolutely heavenly while it was baking. the finished product was delicious. all of the flavors blended together so well. we ate the leftovers for dinner the next day, and let me tell you it was just as good (if not better) the next day. 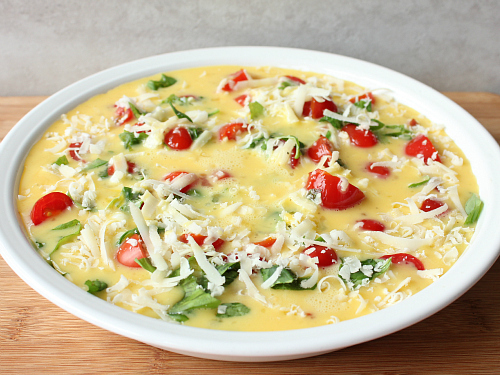 preheat your oven to 375 degrees F. in a large bowl, whisk together the eggs and the milk. 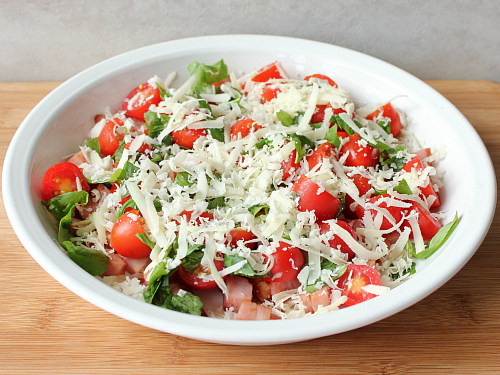 arrange the ham, tomatoes, cheese, basil, and pepper in the bottom of a greased pie dish. 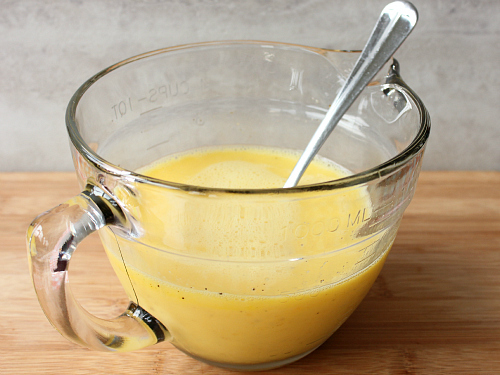 pour the egg mixture over top of the ingredients. cook for 30-35 minutes until cooked throughout. serve hot. Definitely a winner! Very healthy too! This recipe is a good one, I think I might have made this for dad the other day, or a similar recipe was on pinterest.